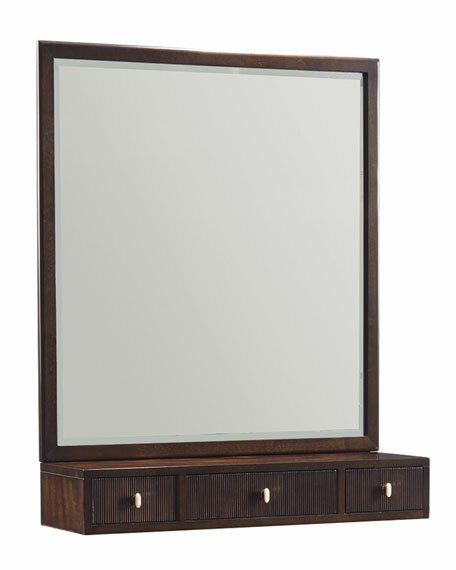 Our Dress Up mirror, finished in Espresso Bean, is the quintessential counterpart for our In The Groove dresser offering you the perfect place to straighten your tie or put on your earrings. 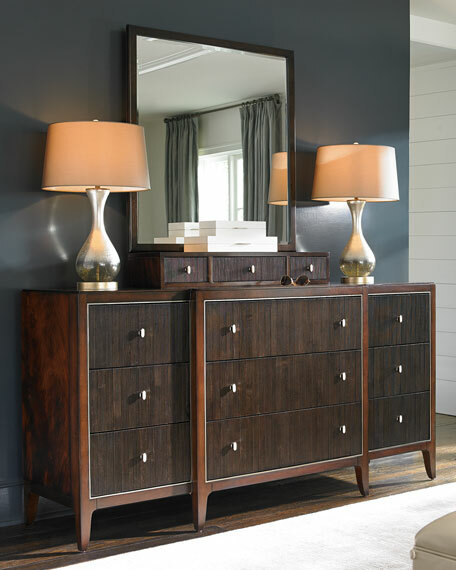 Our companion mirror features beveled glass and a case of three felt-lined drawers with reeded fronts and almond drawer pulls. Keep all of your dress up essentials neatly organized from jewelry and cuff links to watches and pocket change. Three felt-lined drawers with reeded fronts. 34"W x 10.3"D x 42"T.
Boxed weight, approximately 8134 lbs. For in-store inquiries, use sku #2554294.